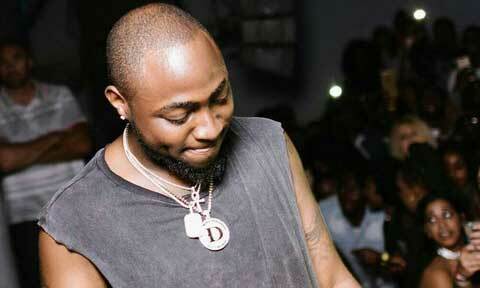 Davido is in a fresh scandal as he has been accused of fighting a woman during his concert in Zimbabwe yesterday. According to Zimbabwe newspaper, H-Metro, Davido and South African celebrity presenter Boitywere involved in a nasty confrontation at a local hotel. The Davido, Boity fight happened in the early hours of Sunday morning and eyewitnesses said it was such a bad clash that left some of the Meikles hotel furniture vandalised. What really caused the fight is not clearly known but H-Metro reports they were told Davido told Boity in an unconventional way that he wanted to get her in bed, something that did not go well with Boity. It is then said Boity started throwing tantrums, shouting at Davido. A popular and controversial Zimbabwean socialite, Genius “Ginimbi” Kadungure, then allegedly tried to intervene and calm the situation down but Boity reportedly slapped him. Reports are Davido was also abused by Boity during the brawl which made one of Davido’s members mad and he started threatening Boity telling her never to visit Nigeria. “Then Davido’s boy was like, I will k--l you if you come to Nigeria, you are dead don’t even come. When called for comment about the incident, Genius “Ginimbi” Kadungure said he is not aware of what had happened as he was not at the scene. However, he confirmed that he heard the rumour.